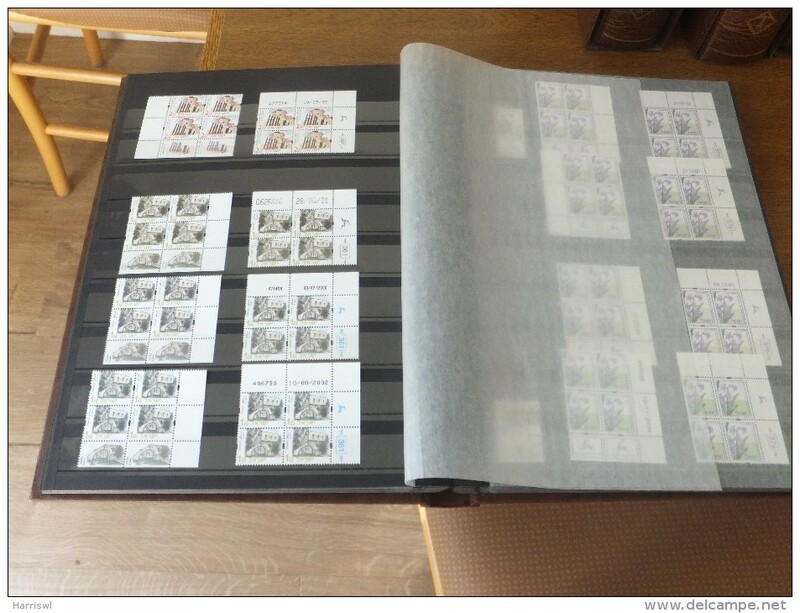 PRICE REDUCED FROM $6000 T0 $4000 now at $3650 AND OFFERS INVITED BASED ON THE DESCRIPTION. 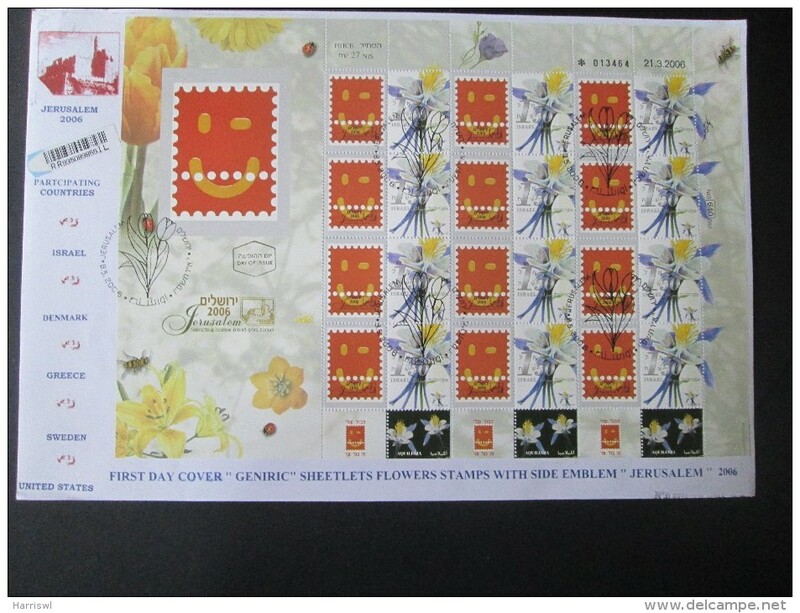 I am delighted to offer a pristine Israel collection which has strength in both phosphor issues and special FDCs, with the main strength being in modern specialised material. 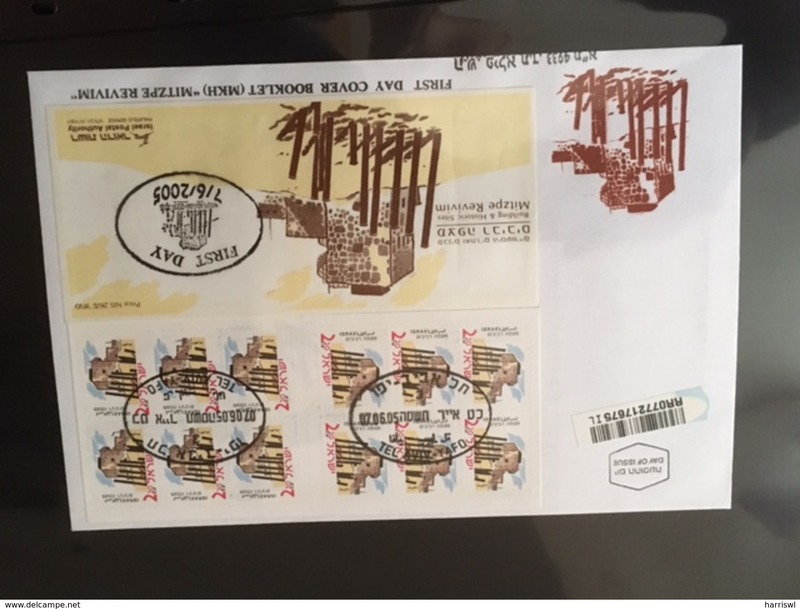 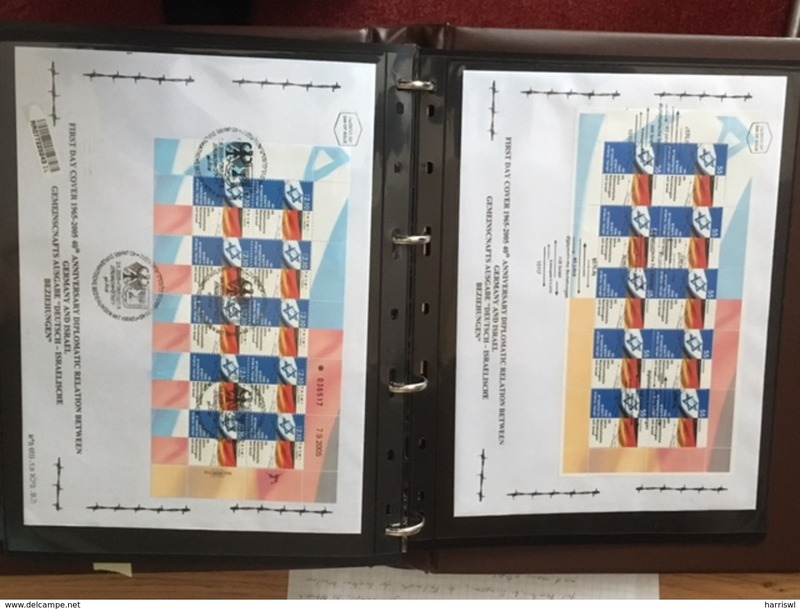 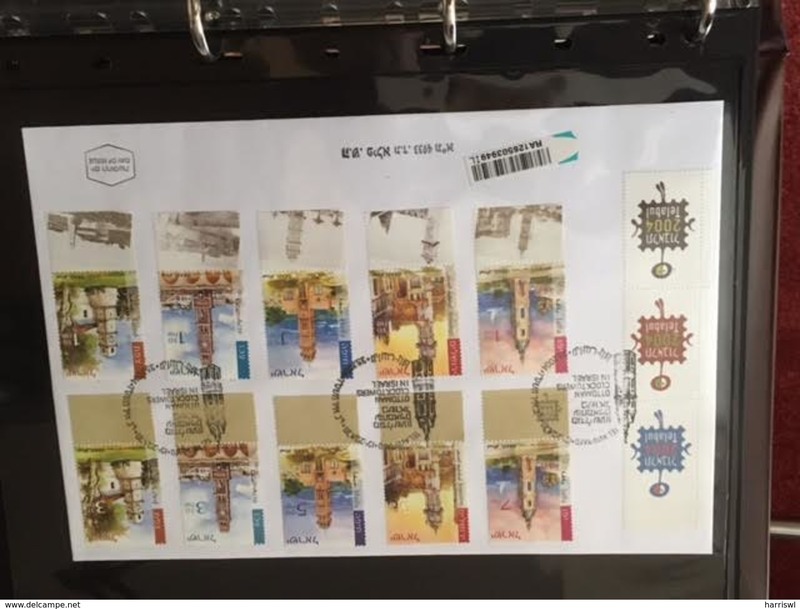 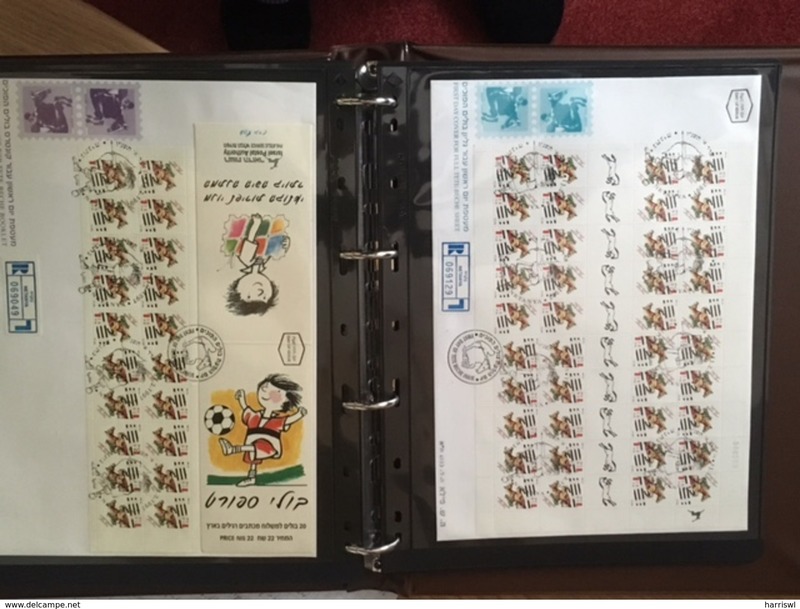 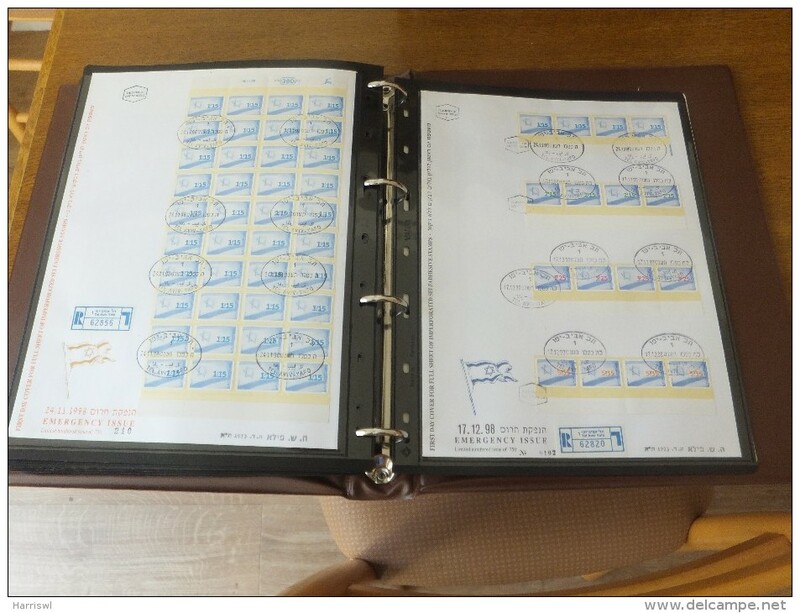 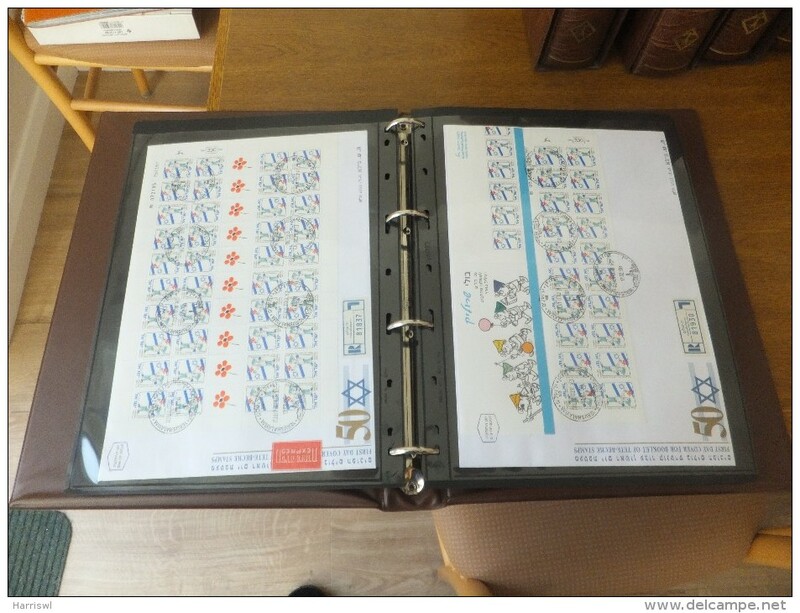 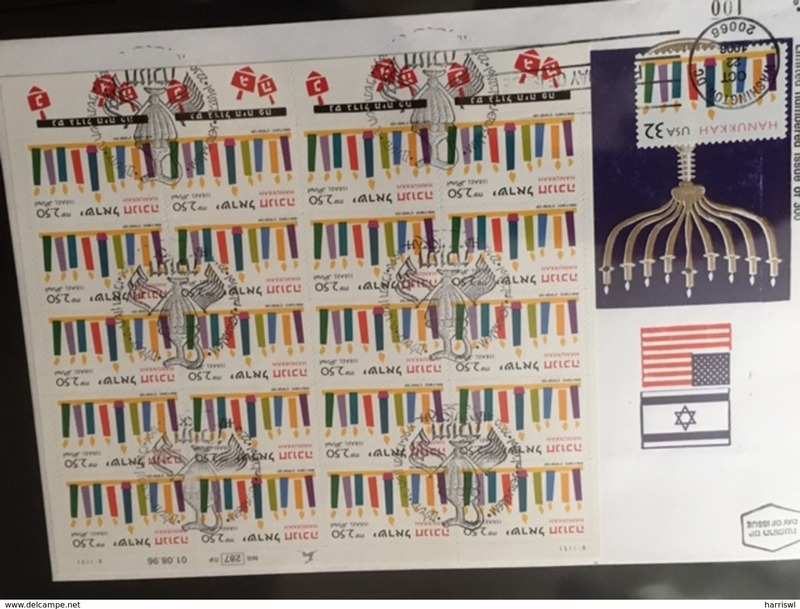 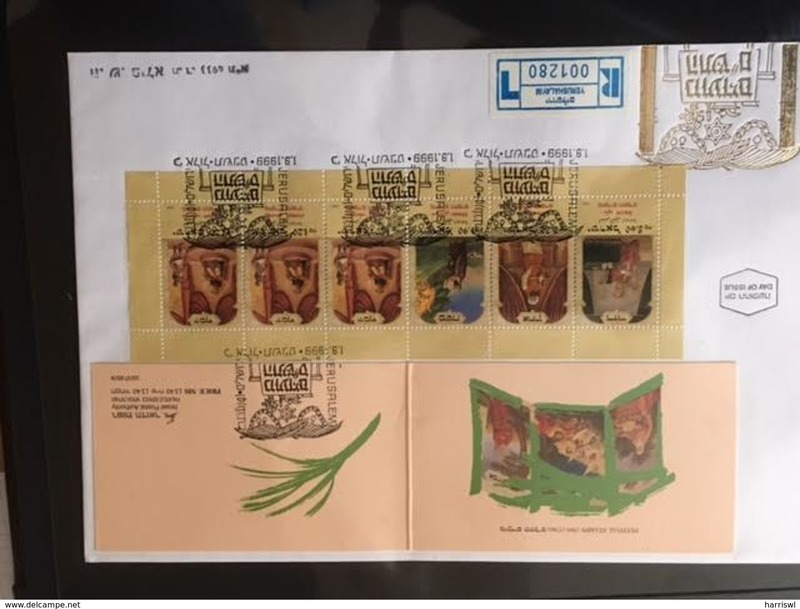 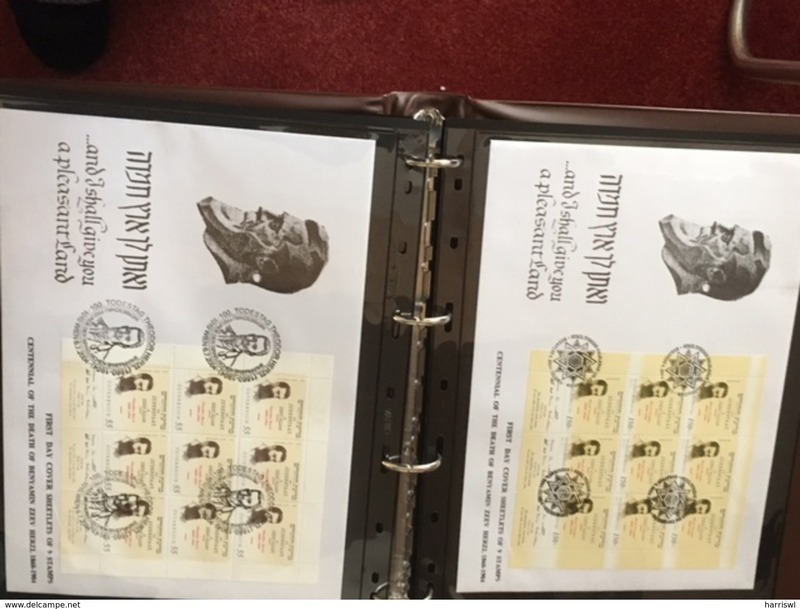 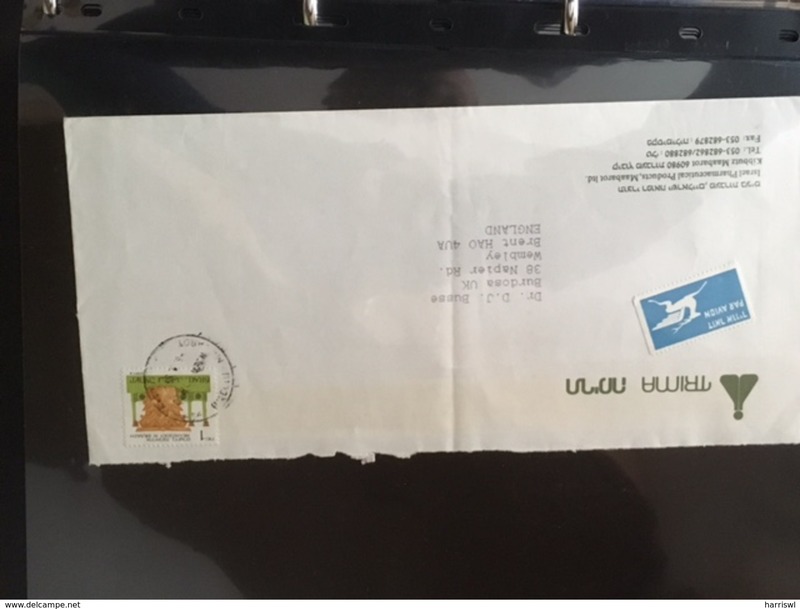 There are numerous FDC including Anemone full sheets, Polish Israel full sheet FDC, End of WW2 full sheets, a 1998 1.15 value flag emergency issue full sheet on FDC and strips of 4 of the flag emergency issue on FDC, 2x 2005 FDC End of World War 2 full sheets, a 2006 Israel post number and no number combination FDC, and an often overlooked item is a 1994 strip of 3 “drawn by visitor” Telabul stamp which is included in this collection. 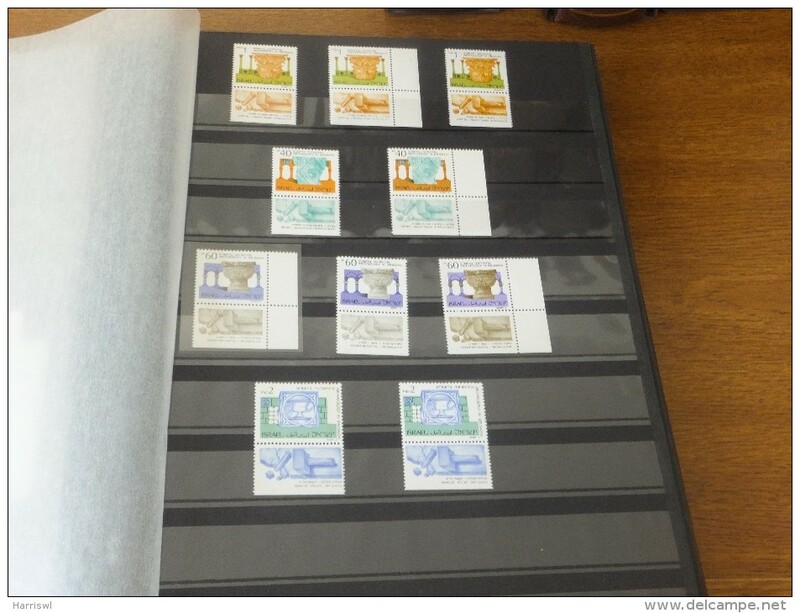 The main stamp collection is housed in 5 well preserved pristine Lighthouse albums with slipcases and starts from around 1952 with just a few earlier mint tab stamps. 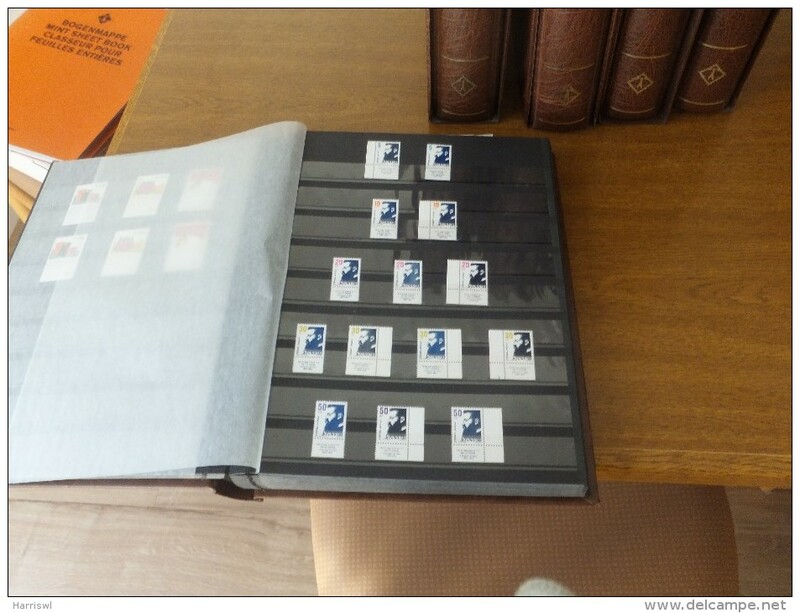 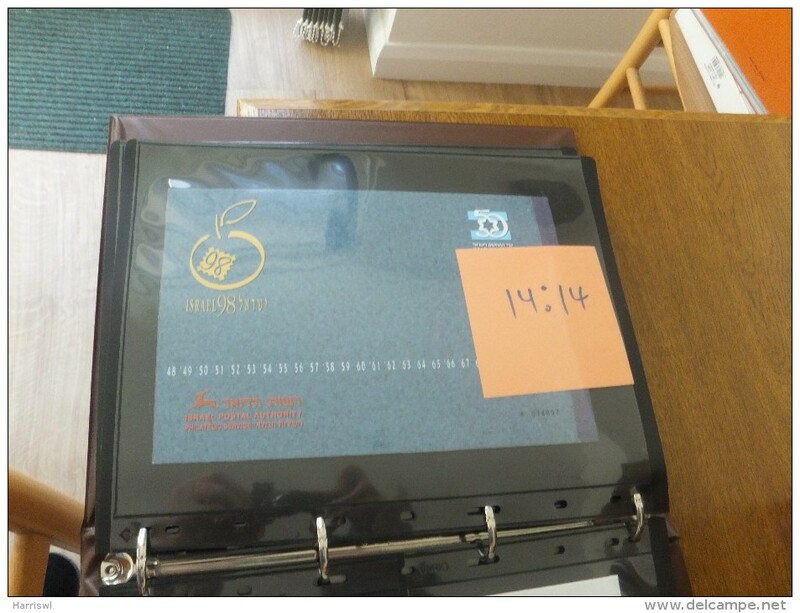 There is an almost complete run of mint tab material from 1952 until 2008, taken directly from a new issue service. 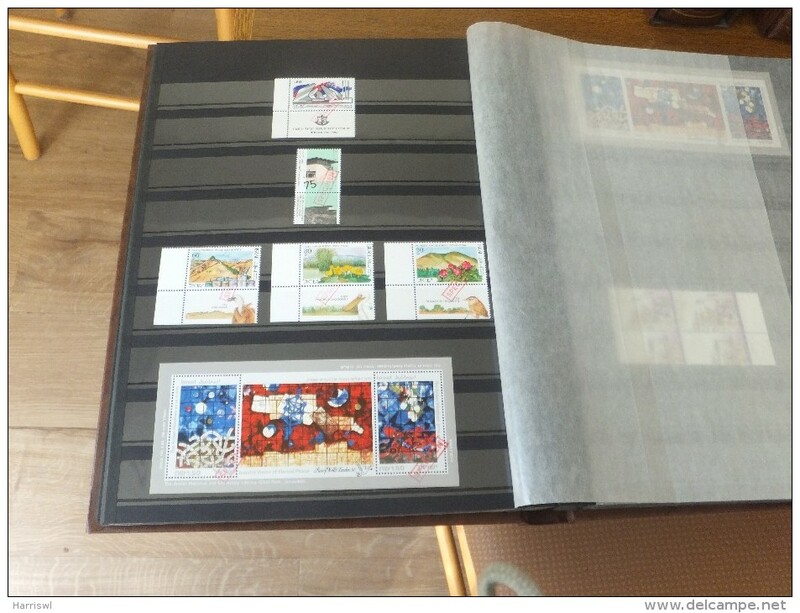 The albums were purchased as new by the collector and are well preserved and represent significant original cost. 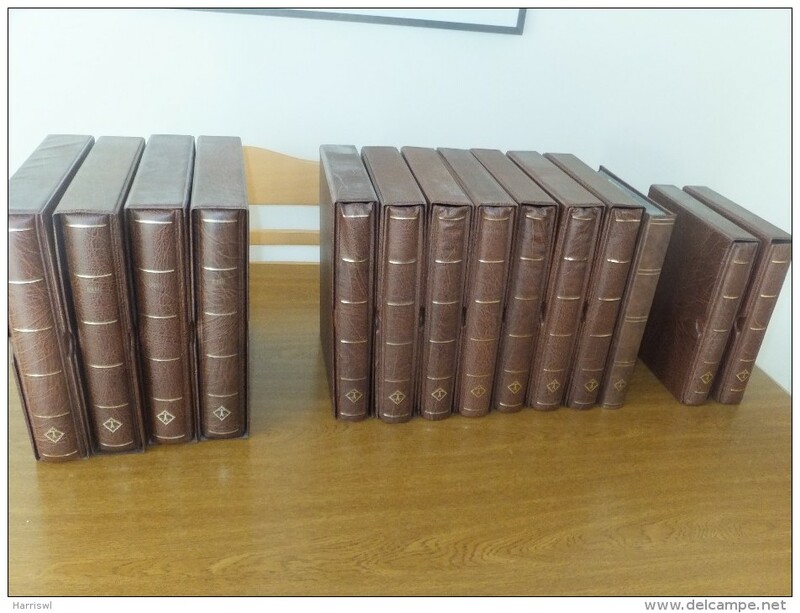 The rest of the material is in further 12 lighthouse stock books also in good condition [total lighthouse albums/stock books 17] . 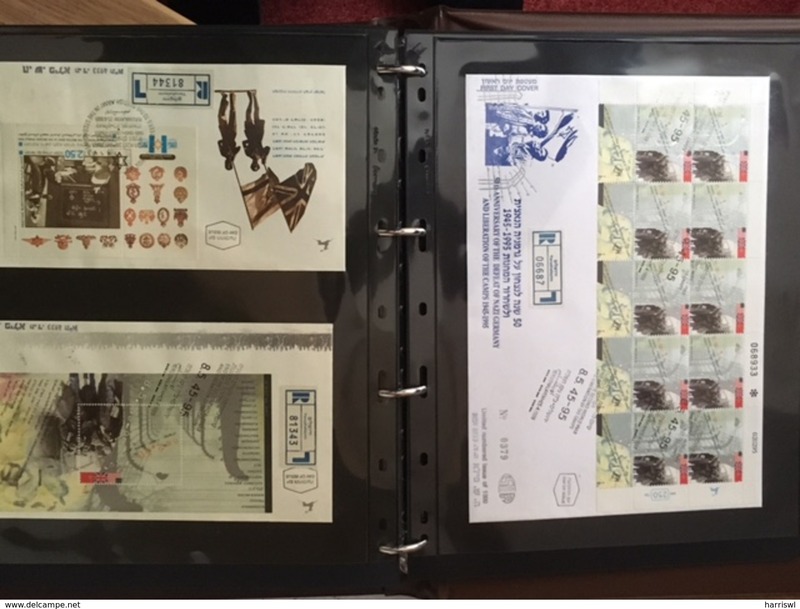 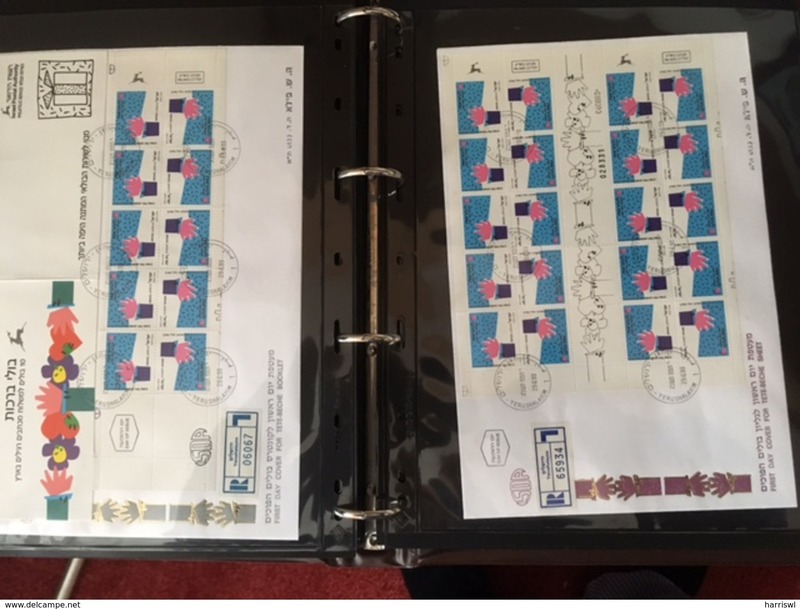 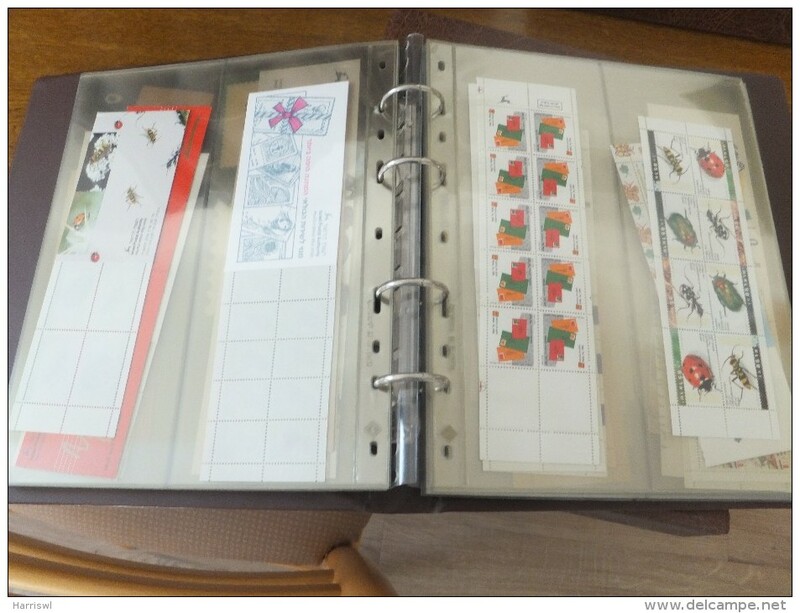 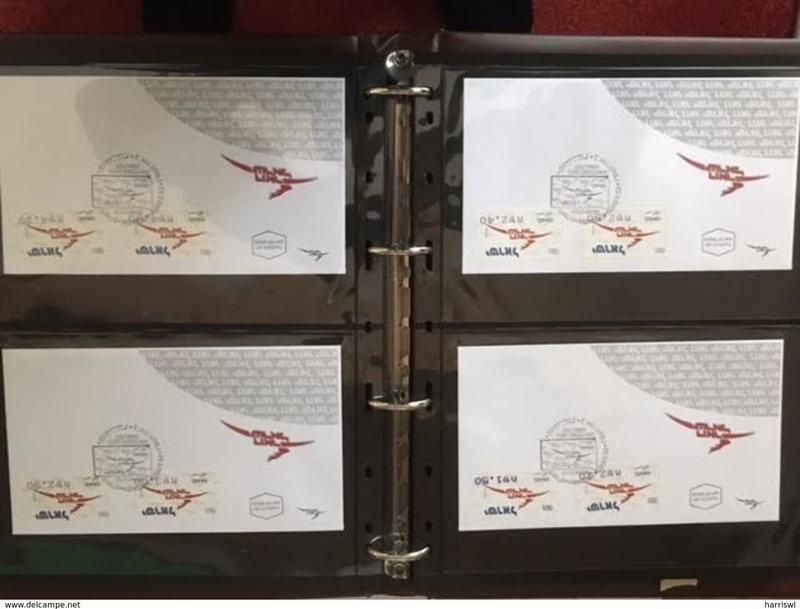 There are also tabbed FDCs from 1970-1990,s, post office opening and closing covers, a few plate block fdc's etc . 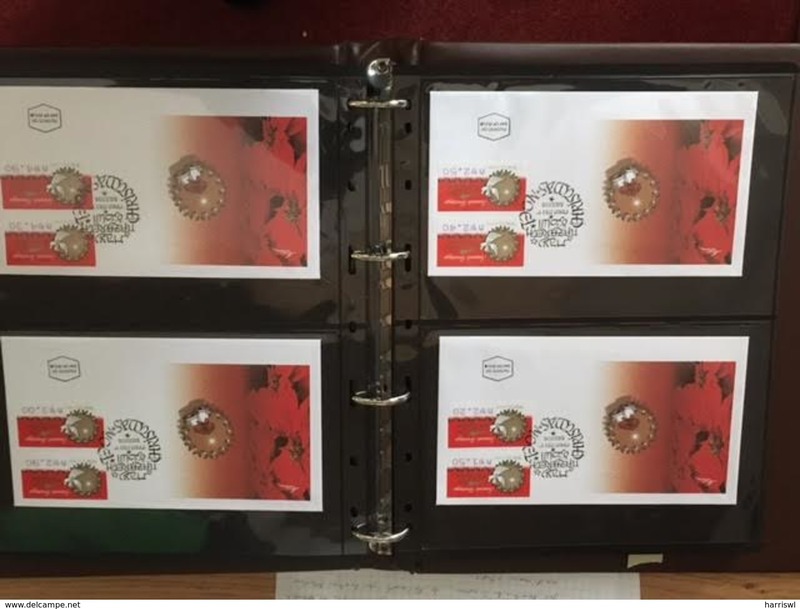 I have prepared an outline listing of the collection which you may request.The overall catalogue value, based on Moriah 2013, is estimated to be in the region of $12000 and would invite offers in £GB based on this description and valuation. 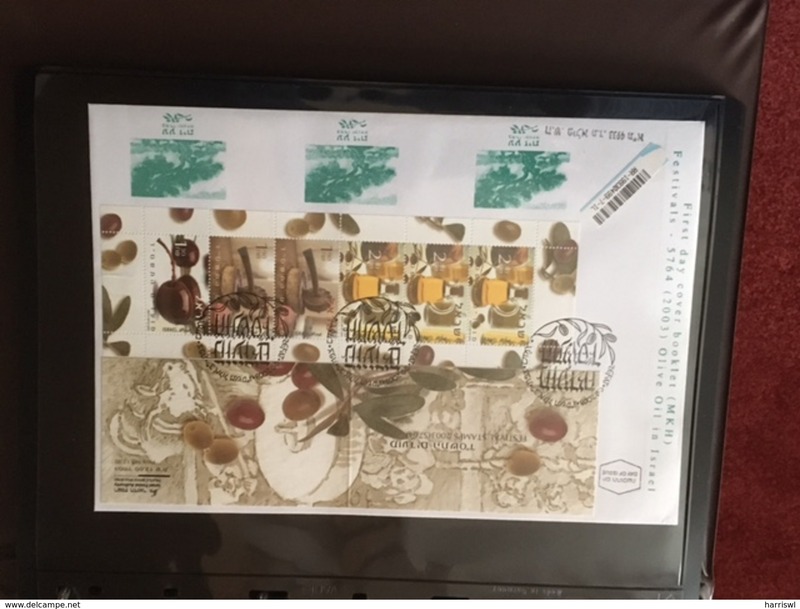 Shipping usually within 48 hours of receipt of payment. 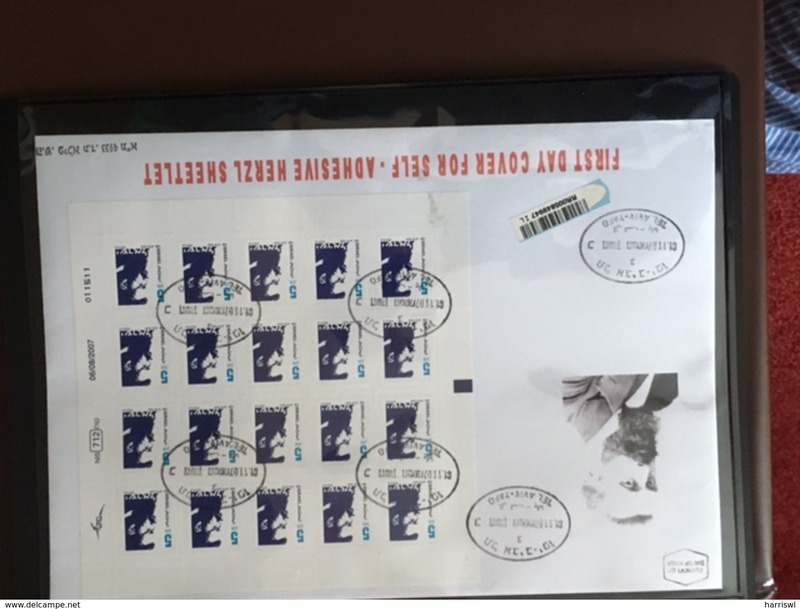 Proof of postage obtained and item sent at purchasers risk unless postal insurance requested and paid for by purchaser. 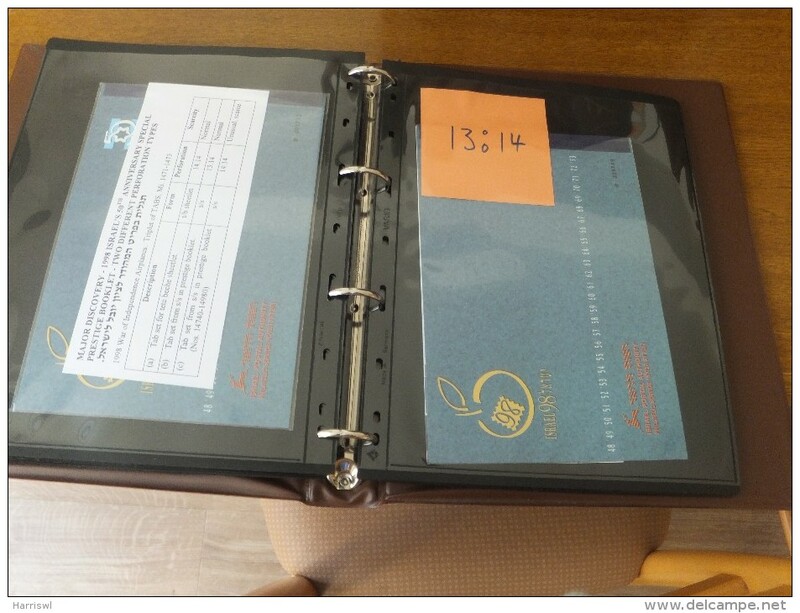 Delcamp EWallet preferred with no surcharge for payment by this method. 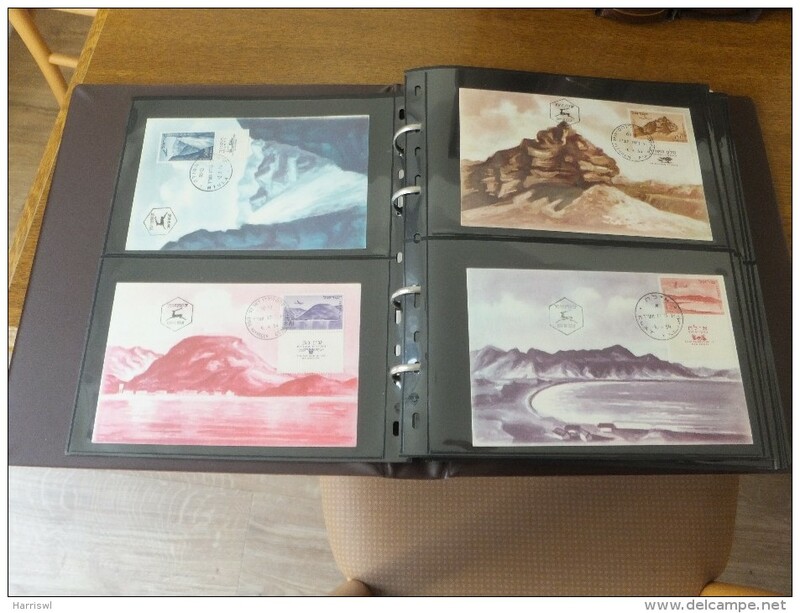 Paypal also accepted, but regret due to high costs must have a 50p surcharge for Paypal. 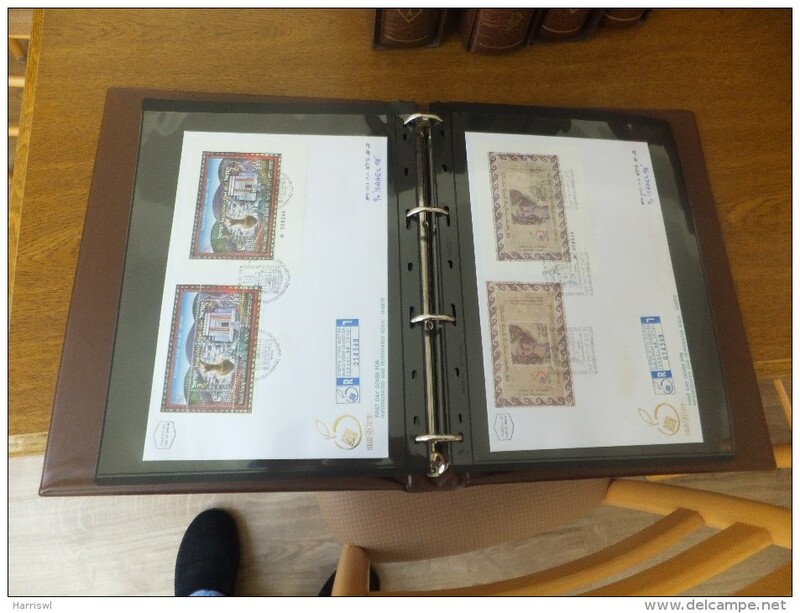 No cheques drawn on non UK banks accpeted due to high costs of the banking system for foreign currency transactions. 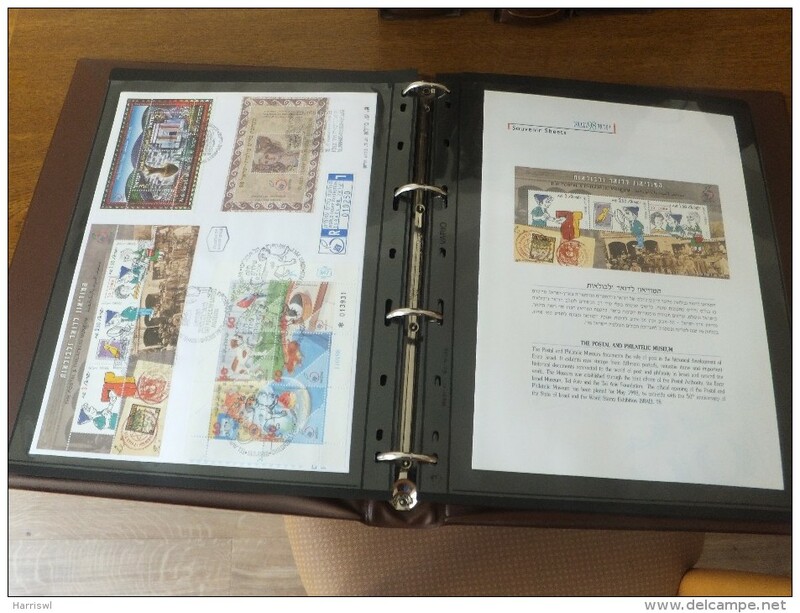 Cash in Euros or US Dollars welcome if sent by post at buyers risk. 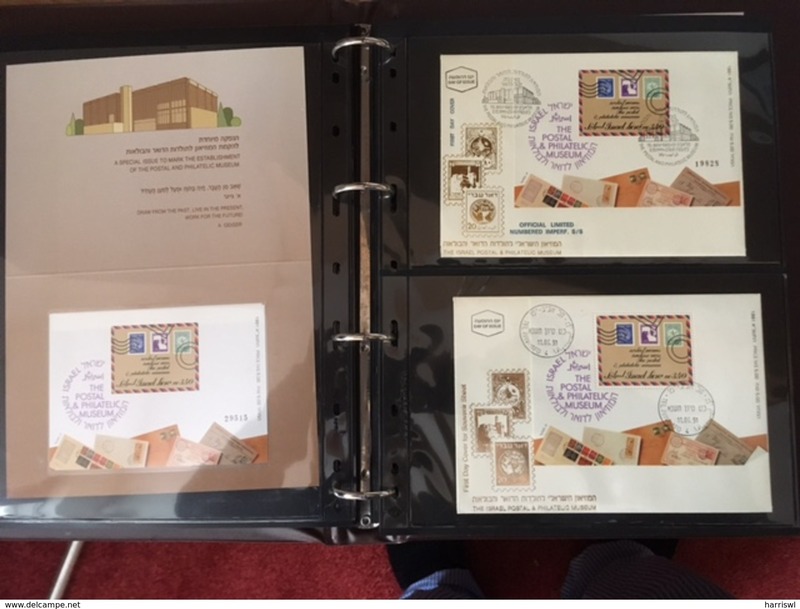 All Worldwide addresses £3.50 per total purchase no limit on number of lots. 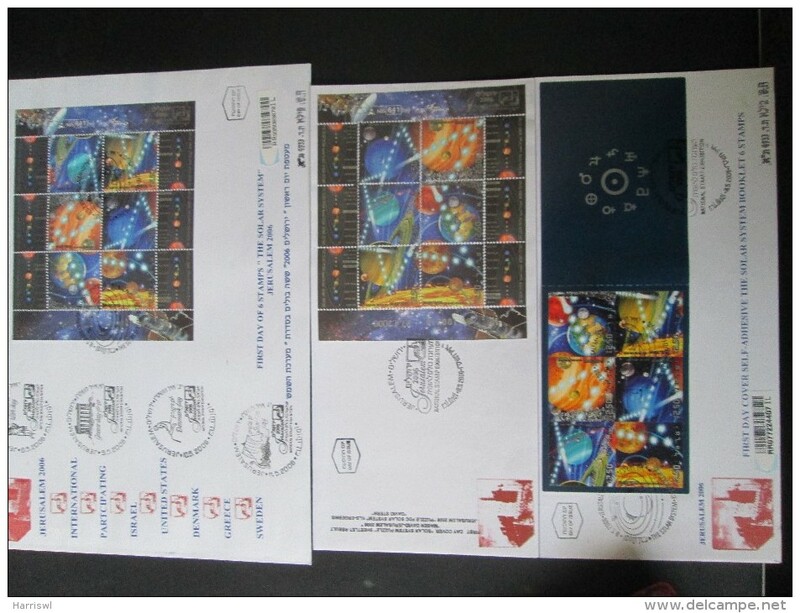 Only extra postage on large lots as per lot description. 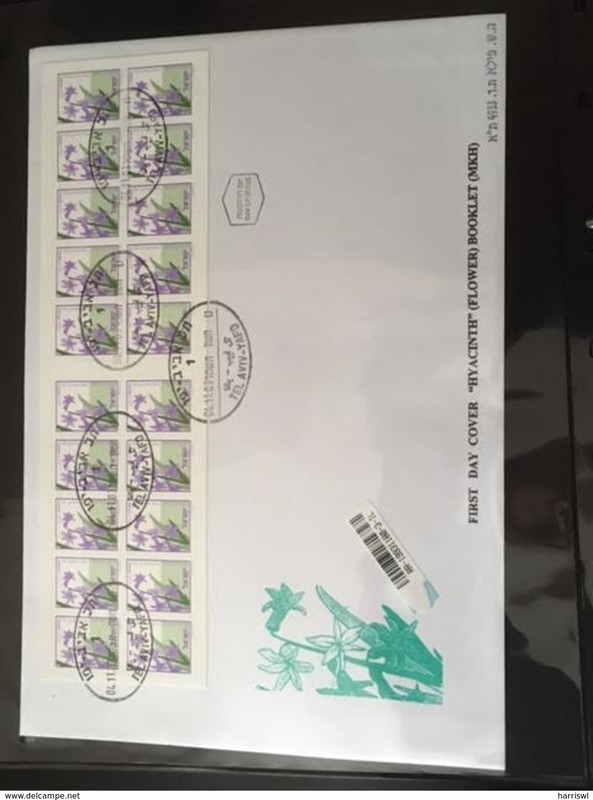 All items sent at buyers risk, unless registered post requested. 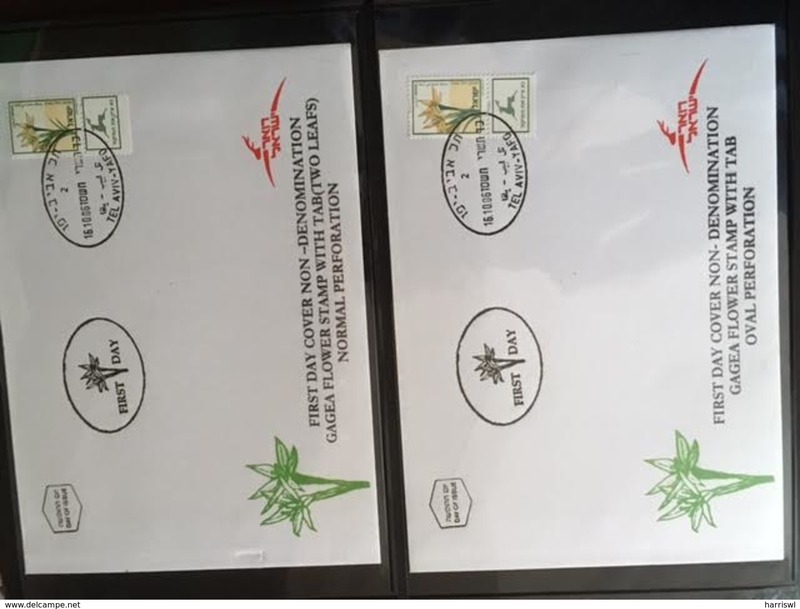 Quote will be given and depends on location and total value of package. 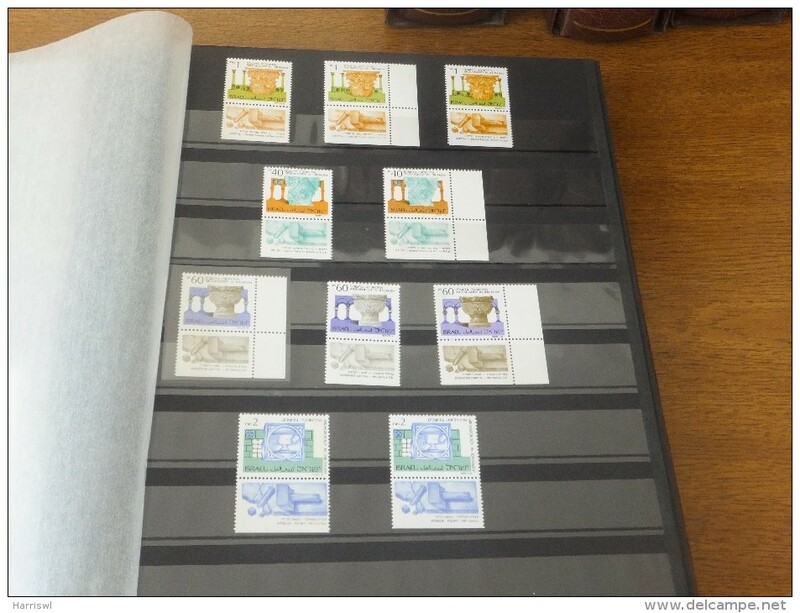 .Local UK buyers may collect items in person. 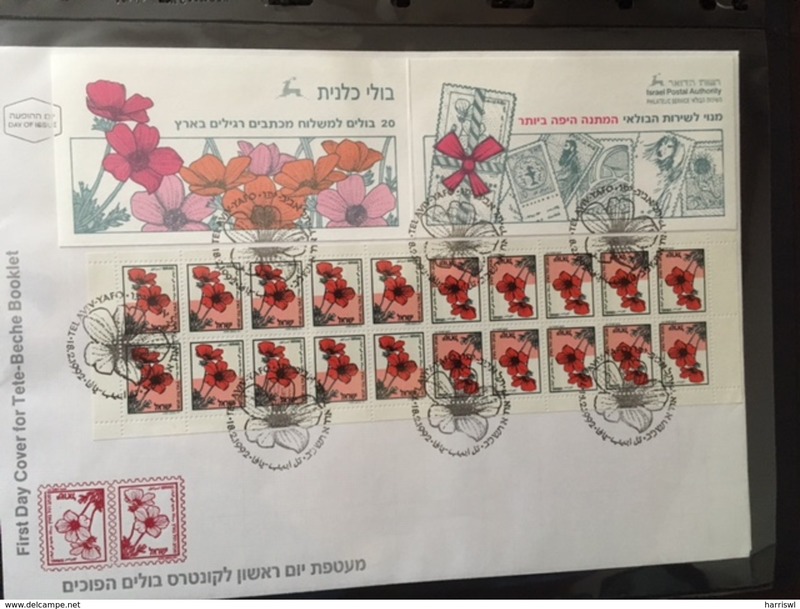 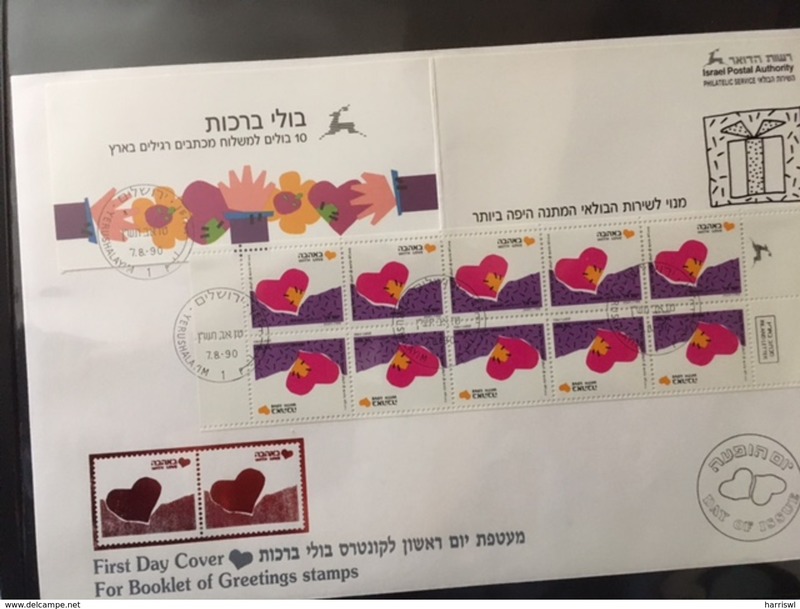 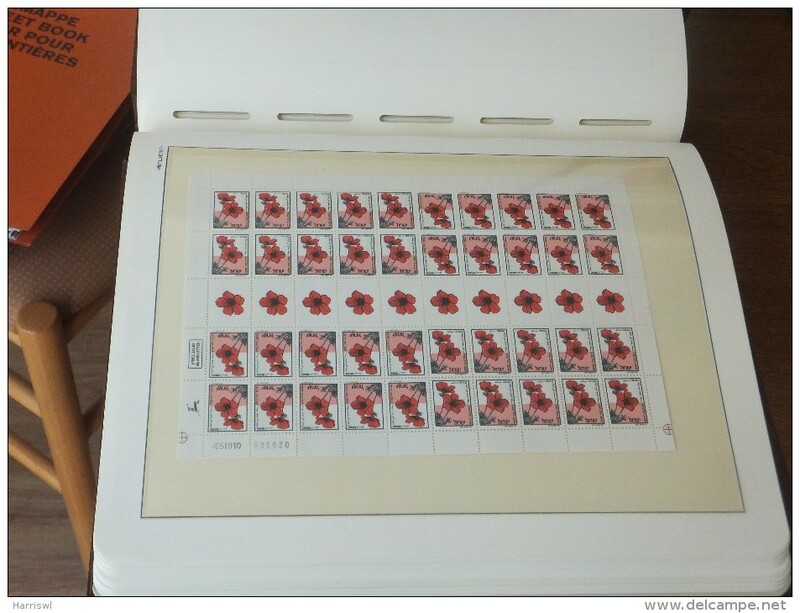 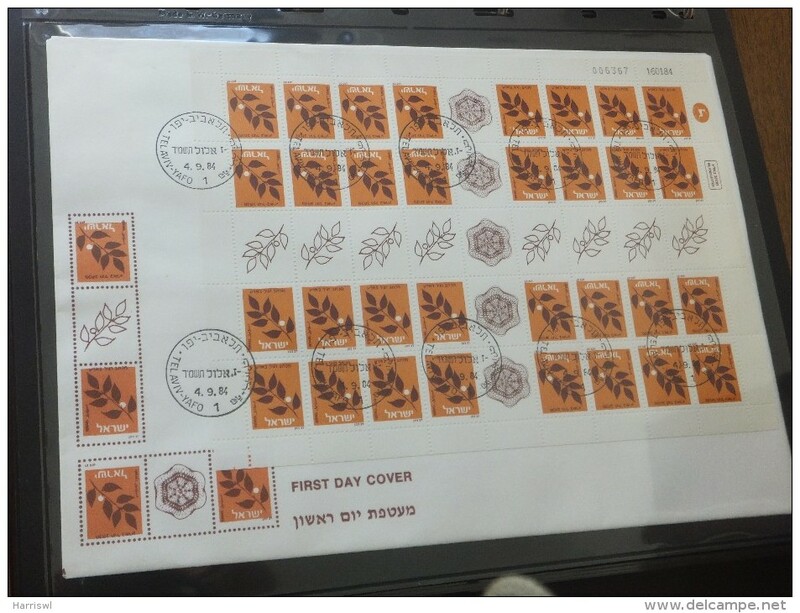 My special interest is Israel philately and I am happy to correspond with you on this subject. 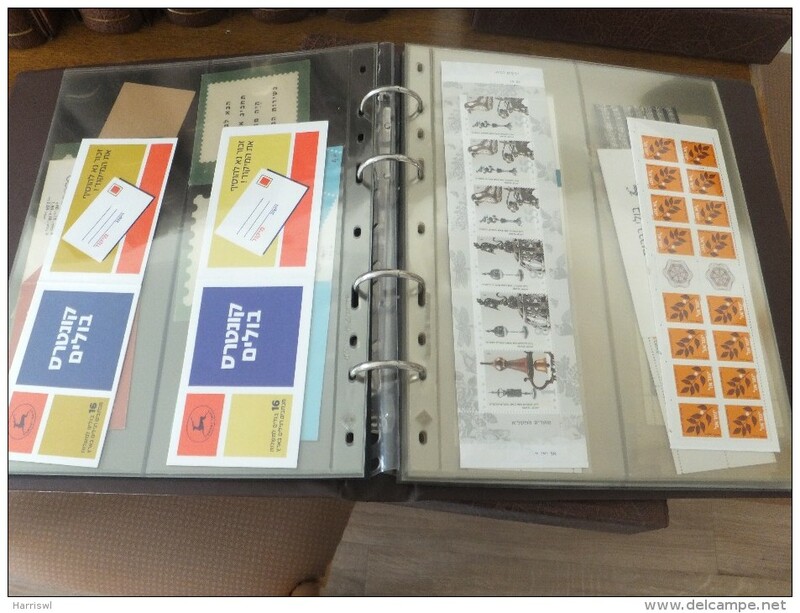 I have a lot of duplicates which I am slowly adding to Delcampe, and can help you with wants lists. 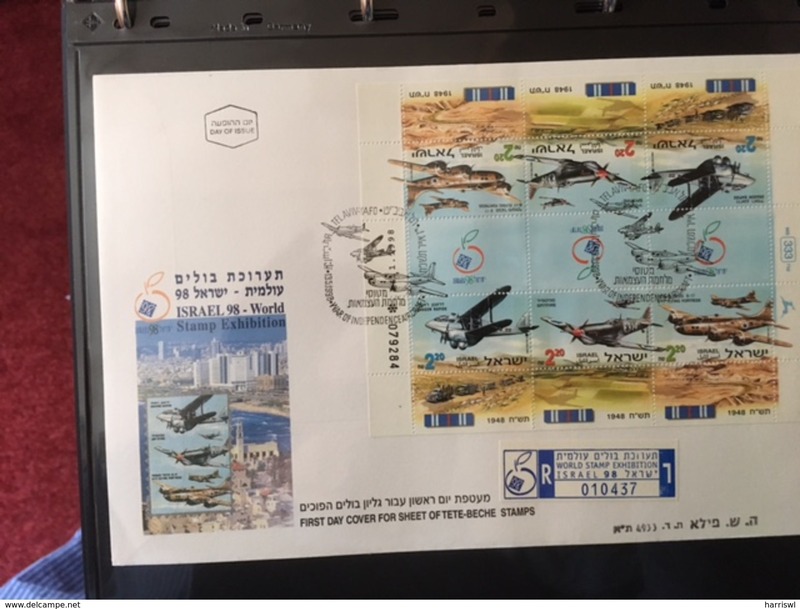 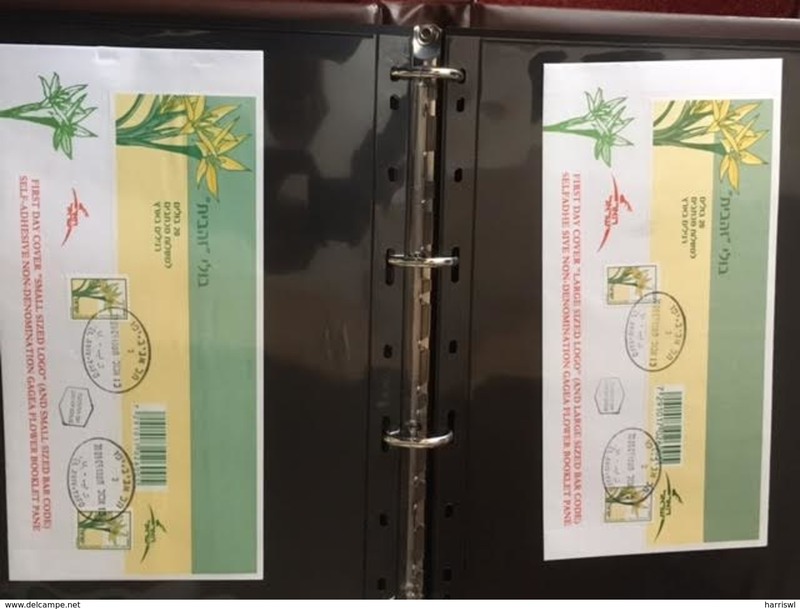 I have just published a catalogue on Israel Military mail as there does not appear to be any up to date information about this. 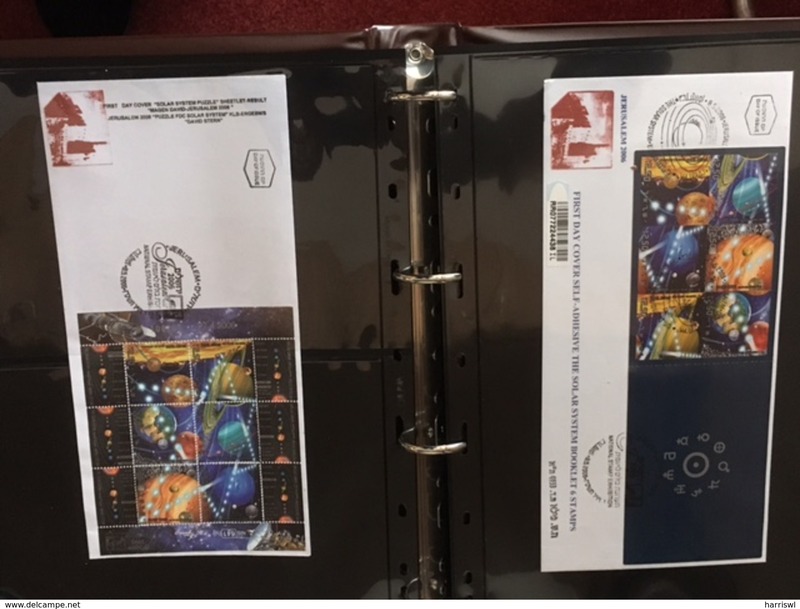 If you have material that I could include please let me know and I will acknowledge it in the next edition. 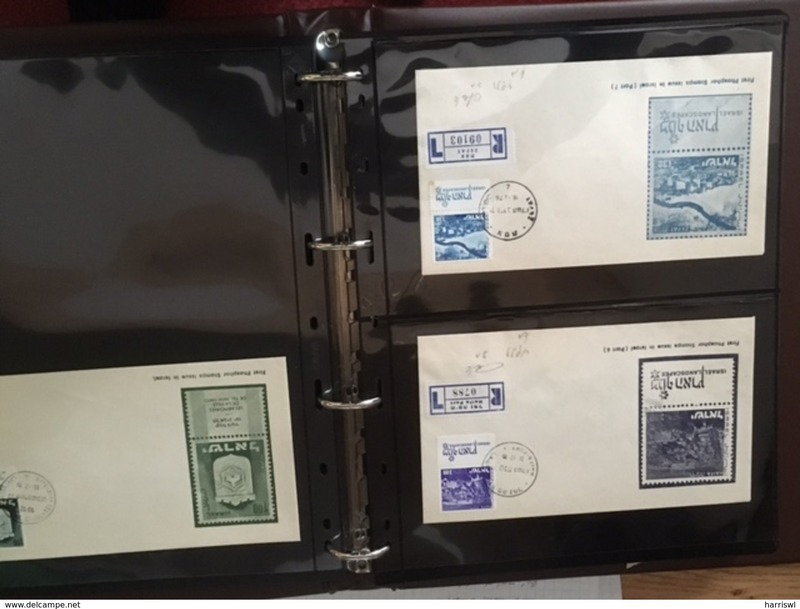 I often purchase large lots of Israel and am always interested in anything you may be able to offer.My purchases often have items from other countries which I generally offer on Delcampe, so I get worldwide material this way. 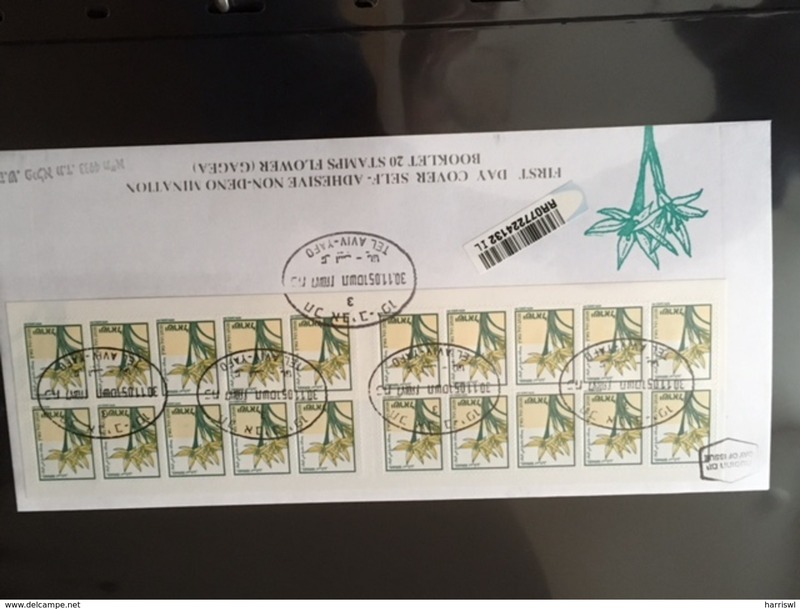 I am willing to consider reasonable bids for my material on Delcampe. 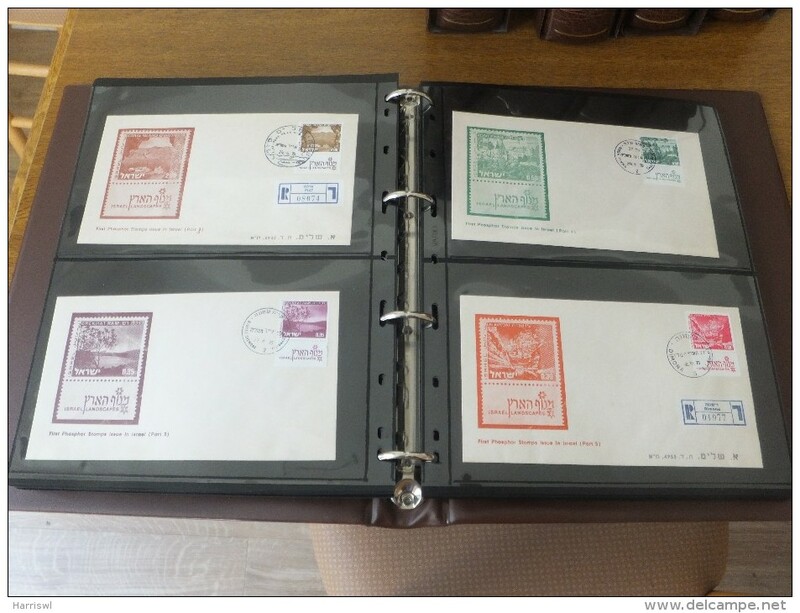 I try to pay promptly for purchases and post sold items as soon as the funds are cleared. 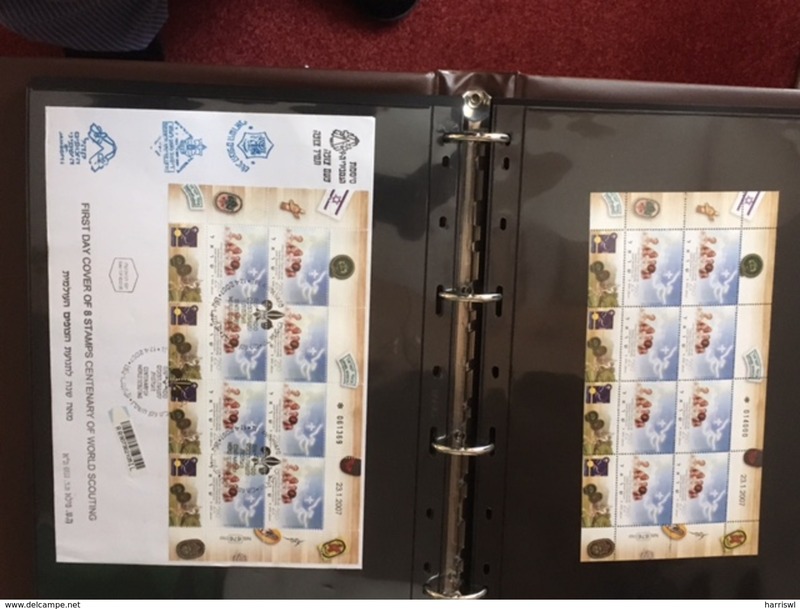 I normally try to use GB commemerative stamps on my letters and parcels as I know collectors always like a lot of stamps! 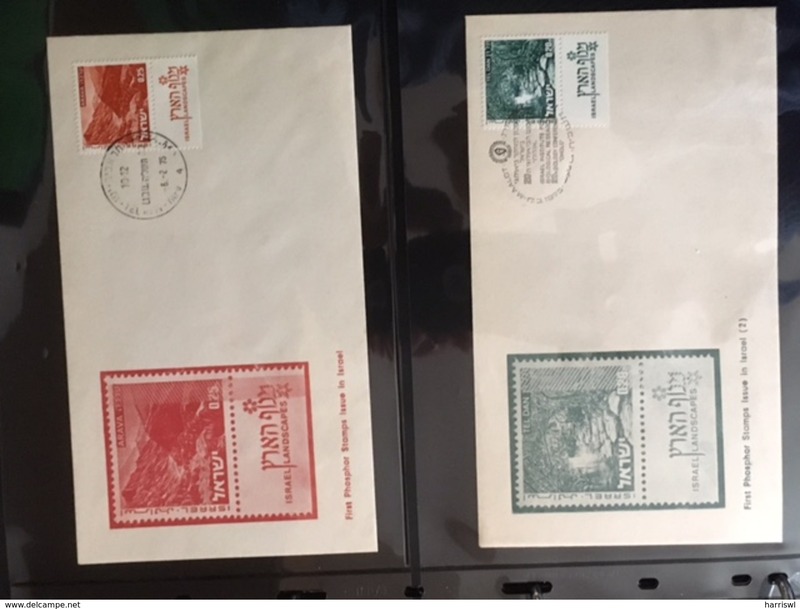 OFFERS CONSIDERED ON MY LISTINGS! I don't see most expensive stamps Sc n 7-9 with taps and covers with Sc 7-9 why ? 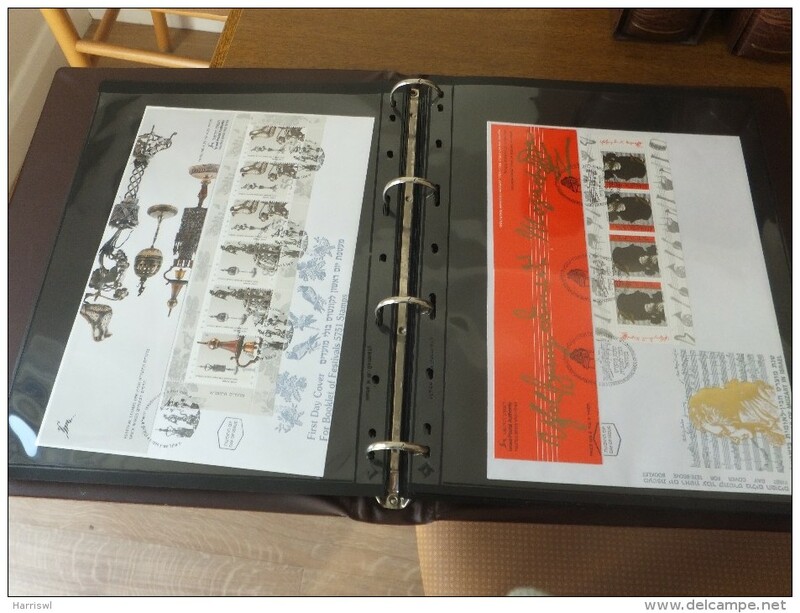 Many thanks for the interest in the collection. 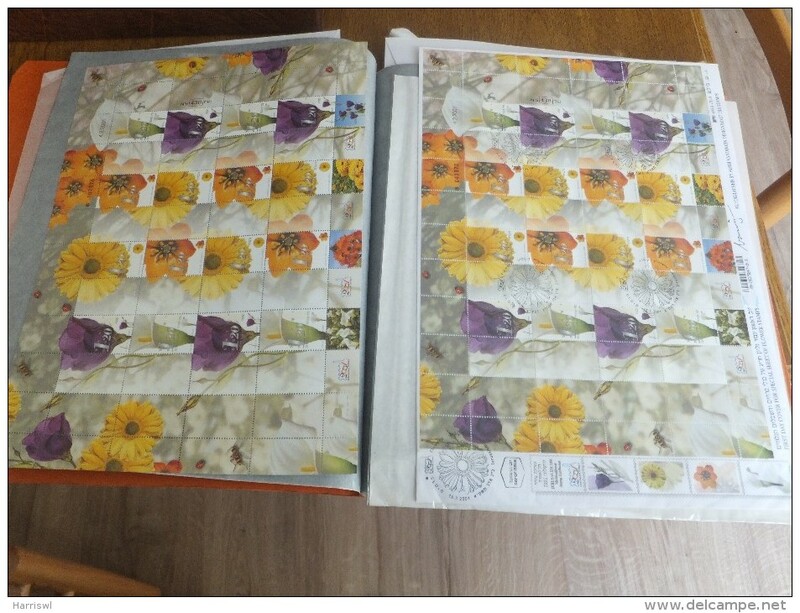 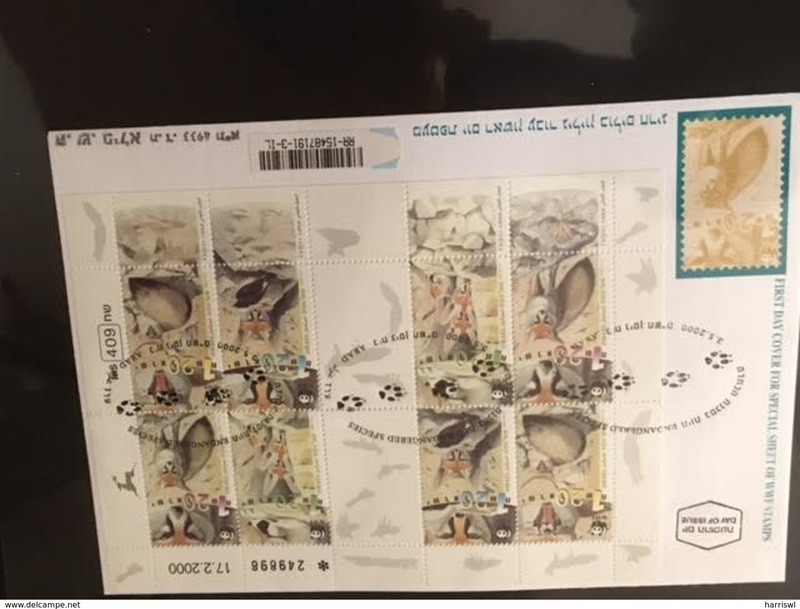 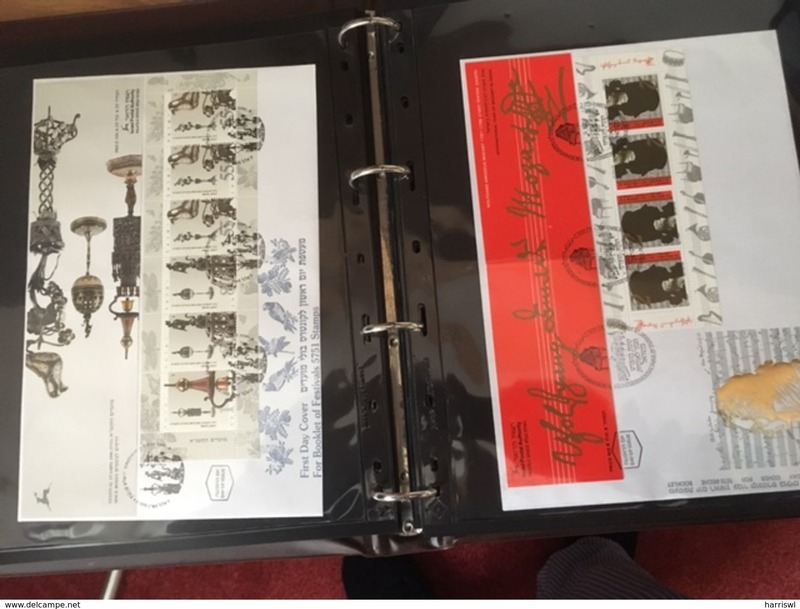 It is my friend's collection and he was not interested in this set of stamps.He collected modern phosphor varieties and high quality first day covers out of choice a many collectors did not concentrate on this area of collecting.